Polish traveller Mateusz Waligóra is the first man in the world to walk the Mongolian part of the Gobi desert. Polish runner Piotr Hercog has won the Moab 240 Endurance Run in Utah on Monday morning. 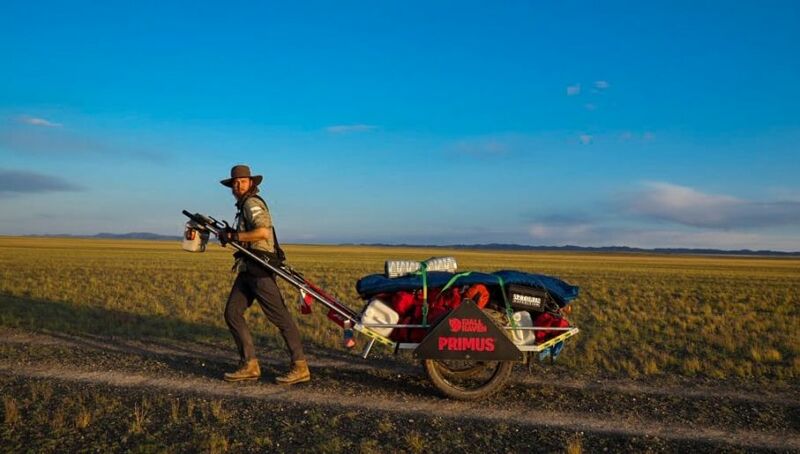 Mr Waligóra has walked 1,785 kilometres (1,109 miles) with a cart of luggage, weighing more than 200 kg (440 lbs). The traveller set off on July 29 from the city of Bulgan in Khovd Province, western Mongolia, near the border with China. He walked through the Altai mountains to an altitude over 2,000 m (6,561 ft) above sea level. Later, in the provinces of Ömnögovi and Dornogovi, the road passed through the Gobi desert. The finish line for the expedition was set in the village of Sainshand in eastern Mongolia. 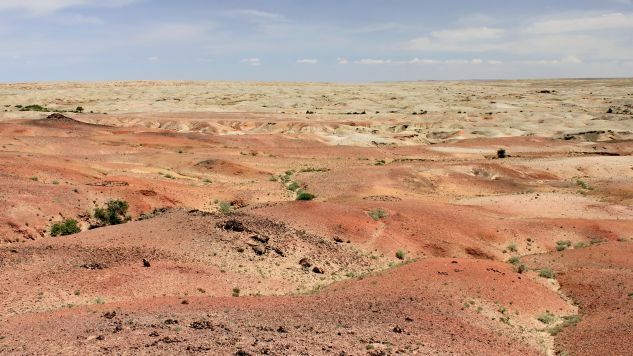 The Gobi desert is neither the largest nor driest in the world, but is very difficult to travel through, because of the wide temperature range, reaching 70 degrees Celsius, sandstorms and very low rainfall. During his walk, Mr Waligóra had to deal with injuries, food poisoning and exhaustion, but also with trouble with equipment. A few hundred kilometres before the end, the spokes in his cart’s wheels broke, and the inner tubes in the tyres started to rupture. He also had to struggle with severe weather conditions. “When I zoom out the map in my GPS device, It blows my mind how far was the distance I passed. I remember that I wanted to resign after a week. I am not a superhero, but an ordinary guy, who sometimes has his purpose and does a lot to achieve it,” Mr Waligóra wrote on social media on Sunday, not long before reaching his final destination. He arrived in Sainshand village on Monday around noon local time. Apart from walking through the Gobi desert, Mr Waligóra has already completed a cycling traverse through the Andes mountains, cycled the Canning Stock Route in Western Australia, the most difficult route in the world and marched across the Salar de Uyuni, the world's largest salt flat.